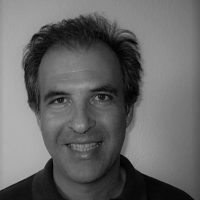 George Blionis is a Biologist/Ecologist PhD, member of the Greek Green Party (Ecologists Greens). He served as scientific advisor to Michalis Tremopoulos (2009-2011) and Nikos Chrysogelos (2012-2014), the Greek MEPs of The Greens/EFA Group in the European Parliament, from 2009 to 2014. Eldorado Gold now owns all gold-mining projects in Greece. The company is harming the environment and avoiding taxes; and the way Greece deals with this problem can determine some important developments in Europe. Dlaczego programy dostosowań strukturalnych, narzucane zadłużonym krajom przez Trojkę, nie były sprawdzone zgodnie z wymogami unijnego prawa, nakazującego ocenić ich strategiczne oddziaływanie na środowisko? In Greece, probably one of the first victims of austerity has been environmental protection, just at the moment where there can be no response to the crisis without considering the environmental dimension. A recent article by the WWF takes issue with the EU response to the crisis which has seen environmental protection sidelined like never before.